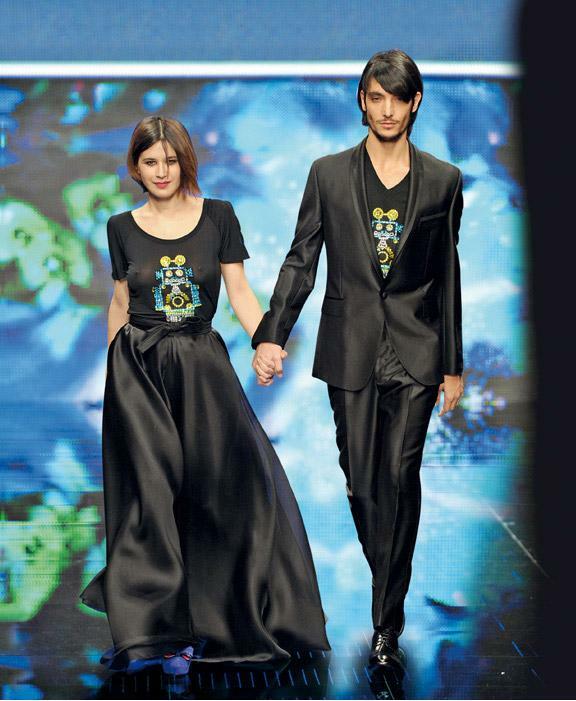 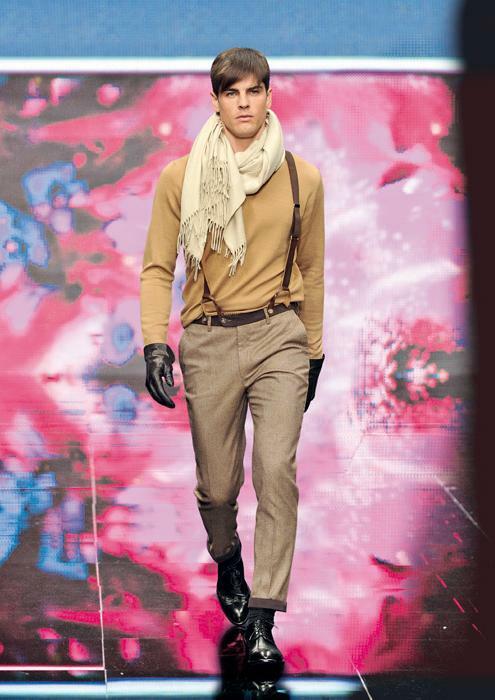 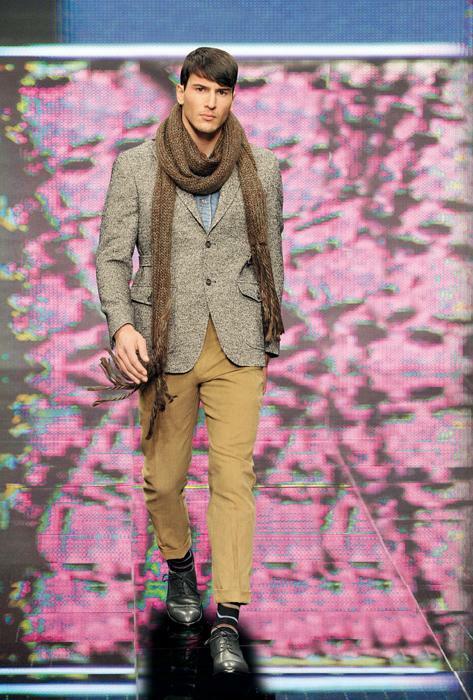 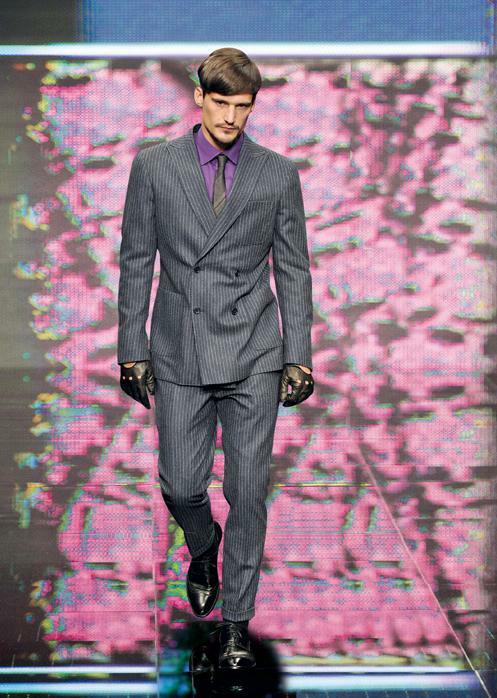 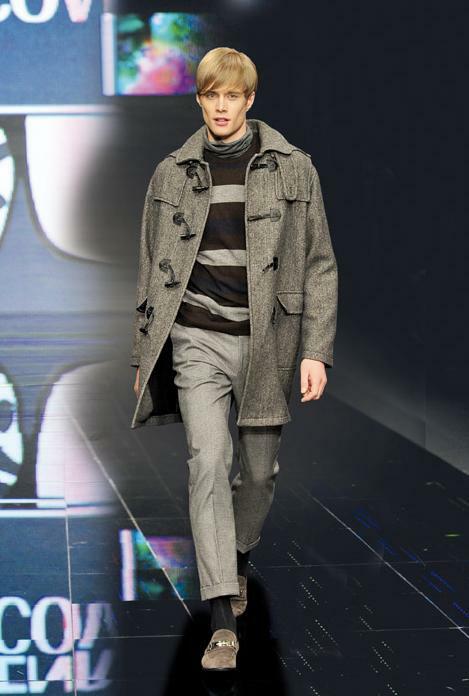 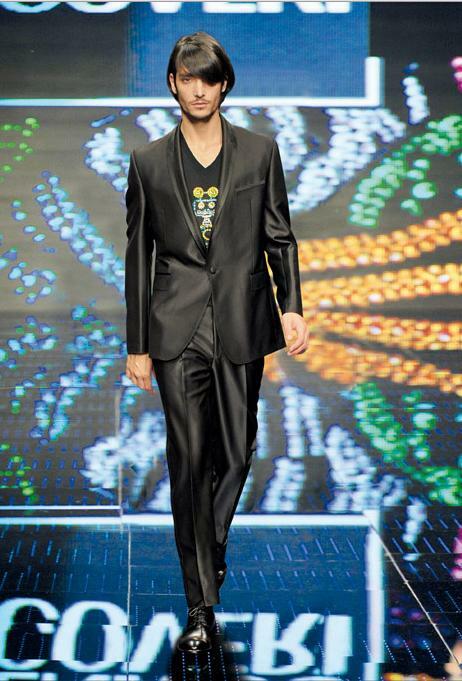 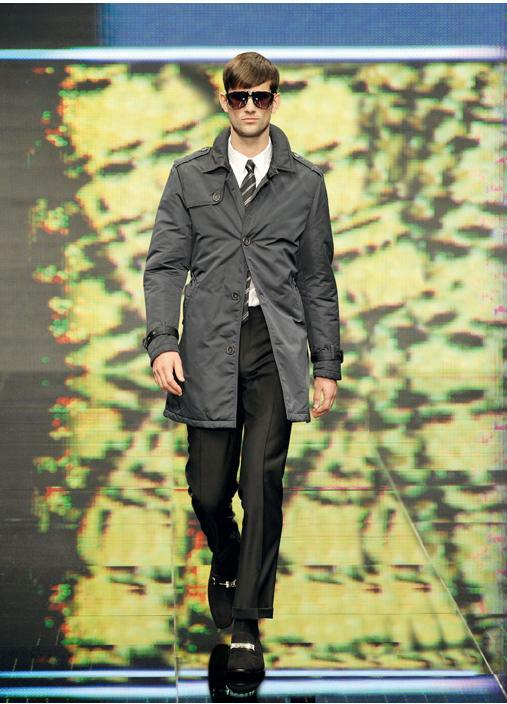 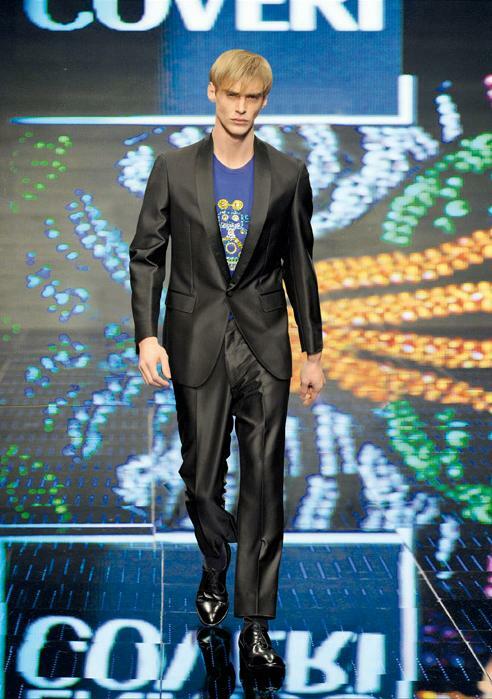 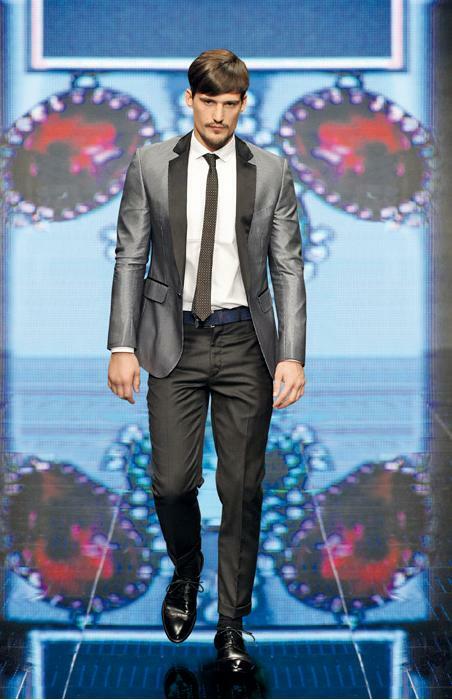 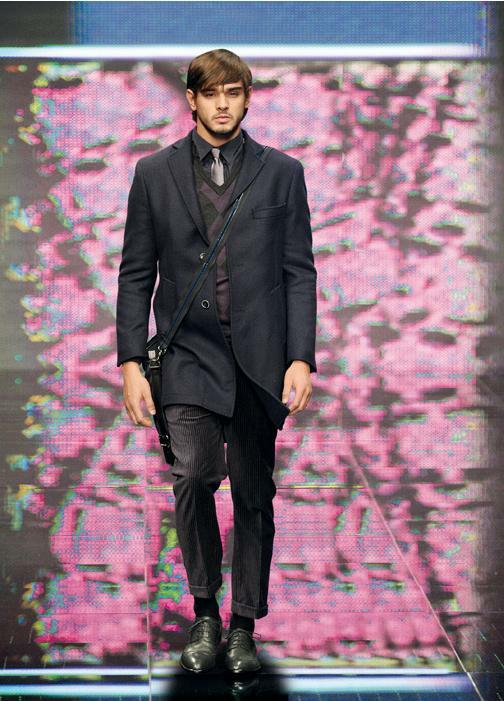 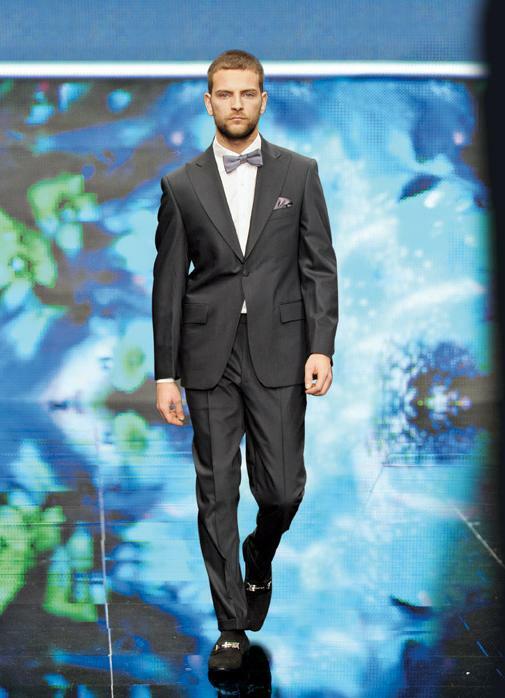 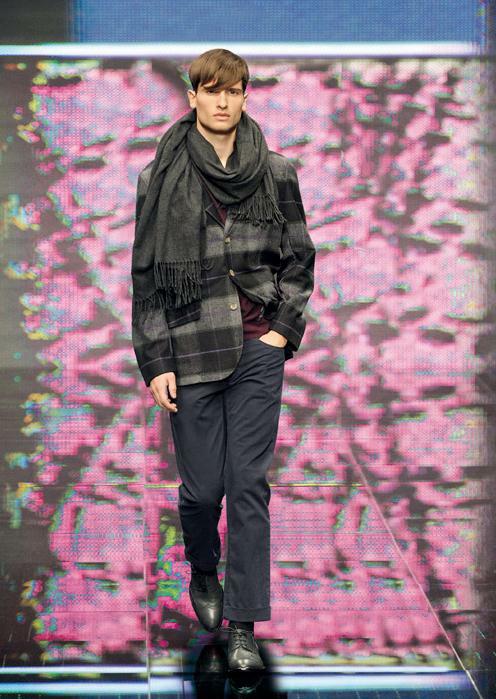 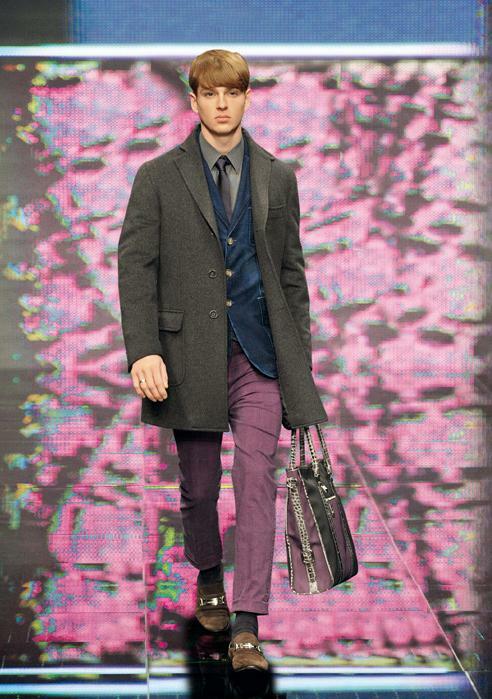 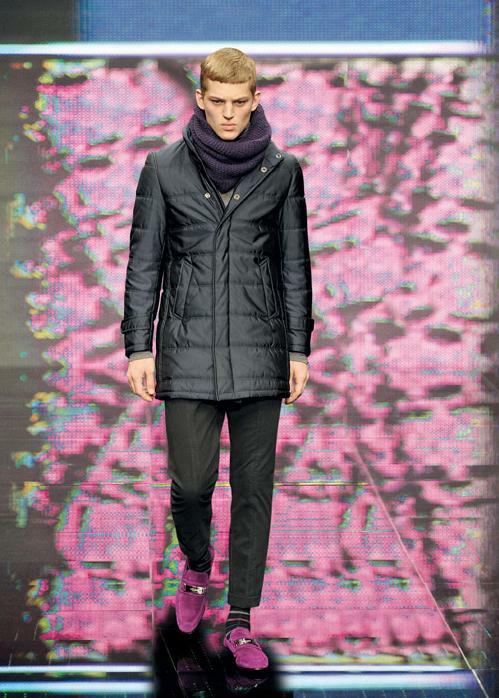 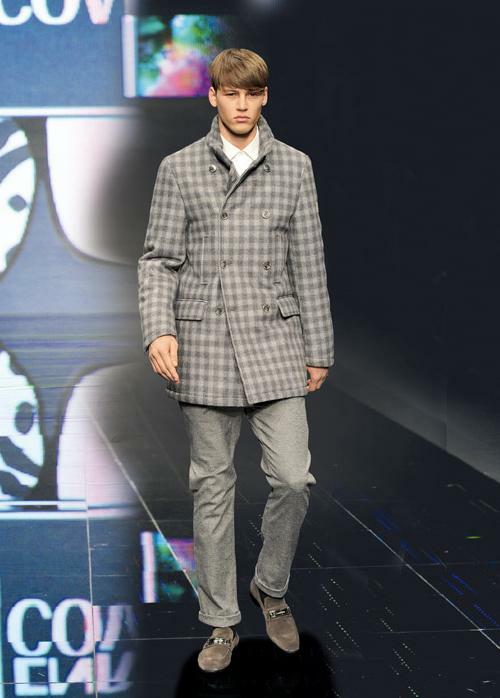 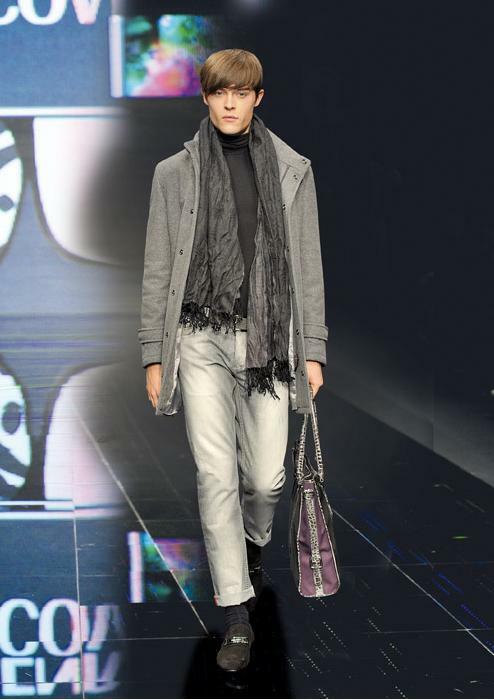 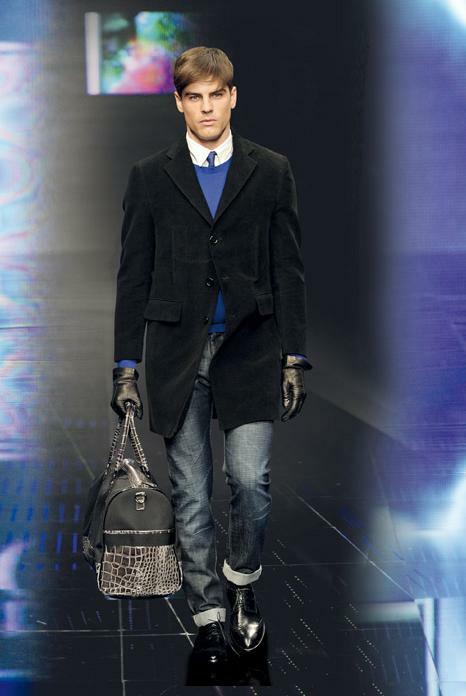 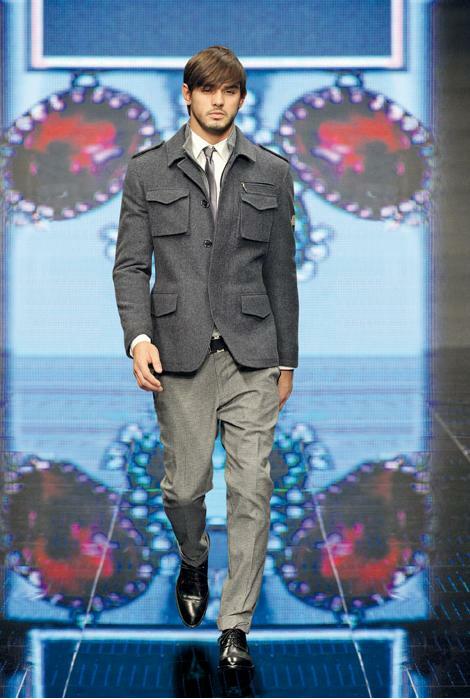 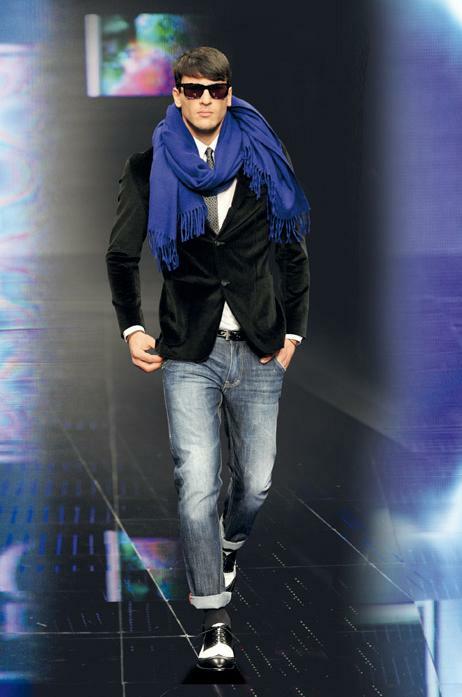 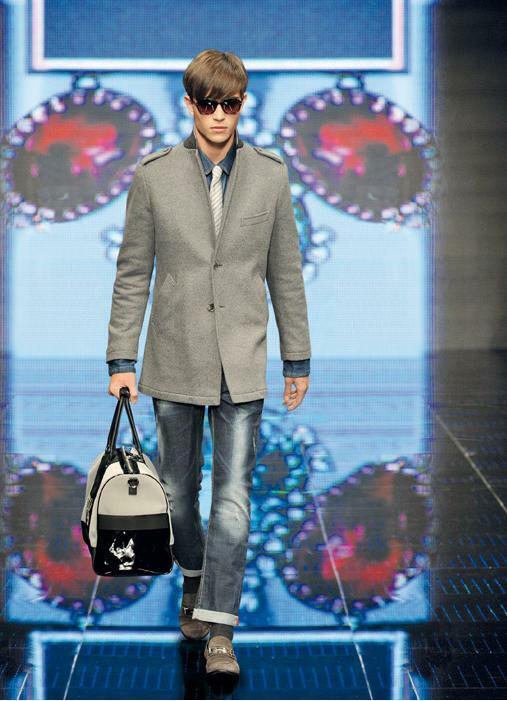 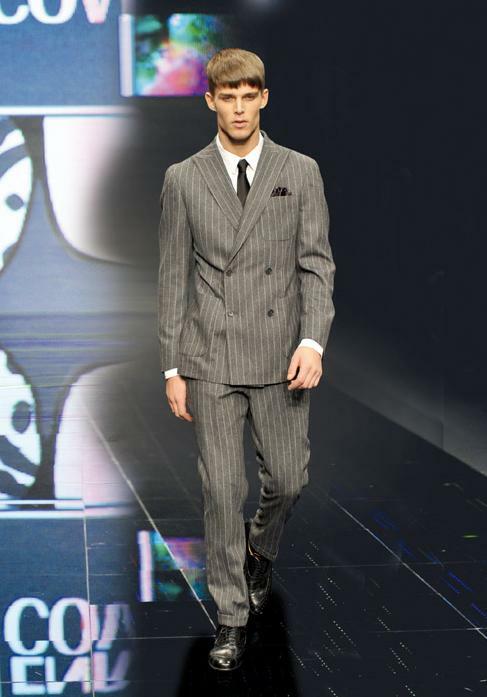 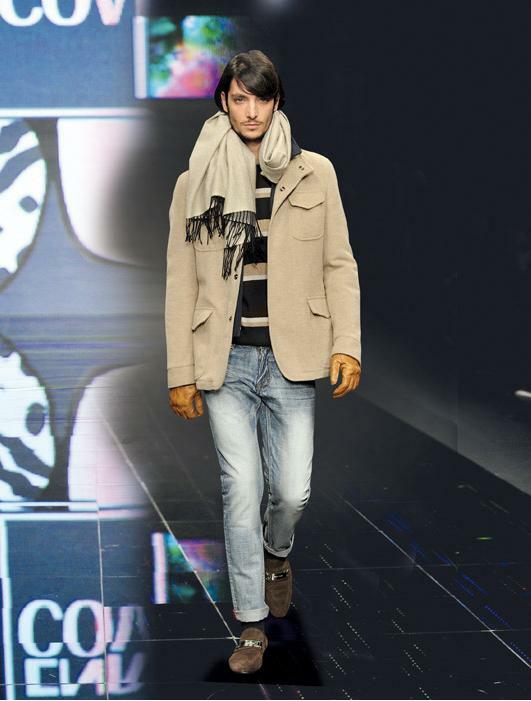 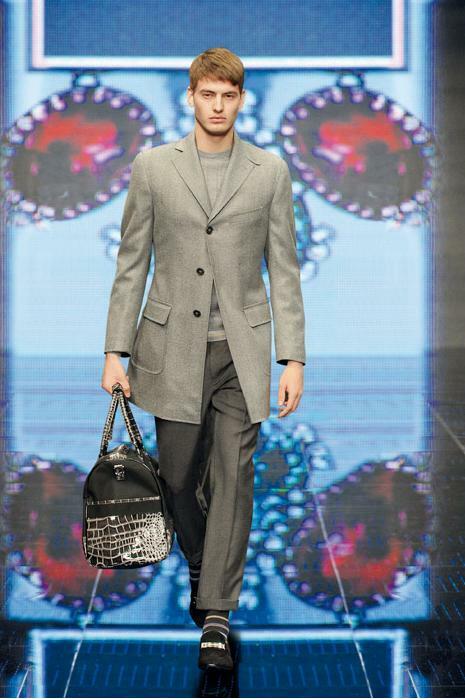 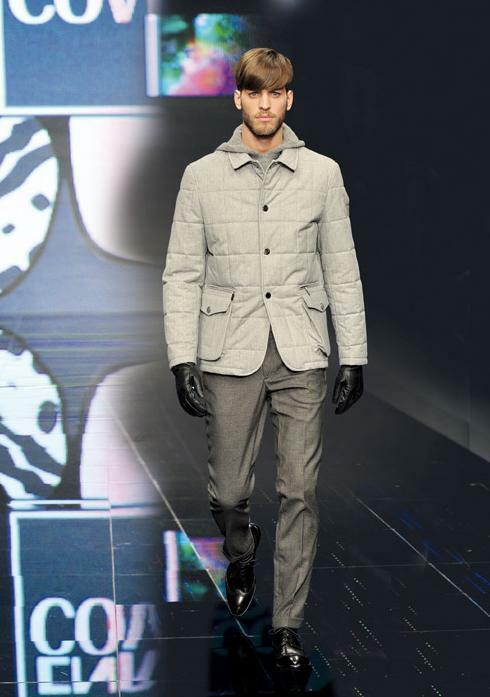 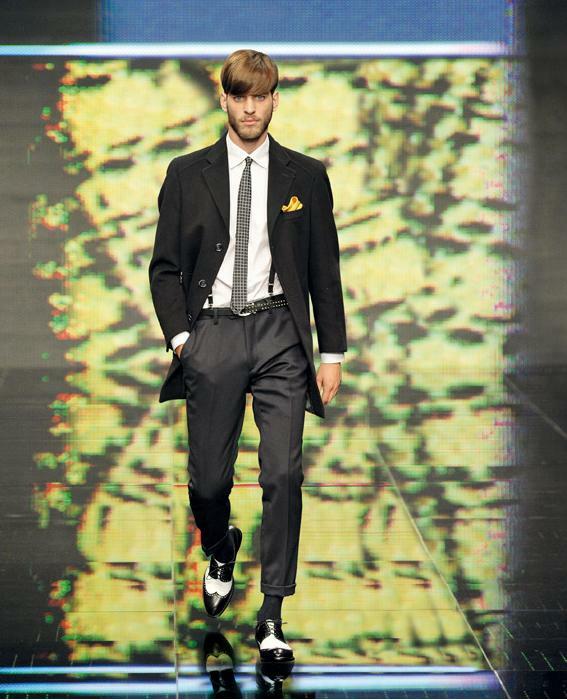 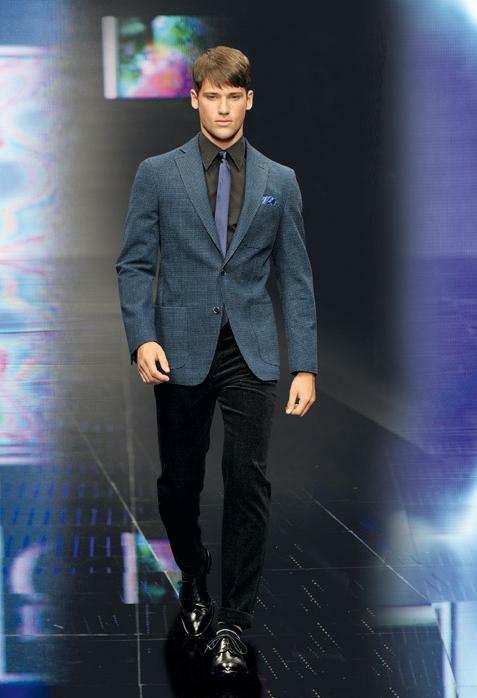 Here's Enrico Coveri men's fall/winter 2011/2012 collection. 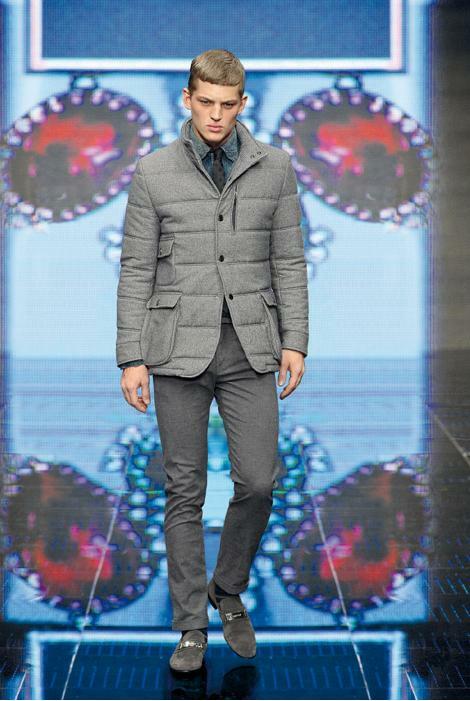 There are mostly cement gray coats and jackets. 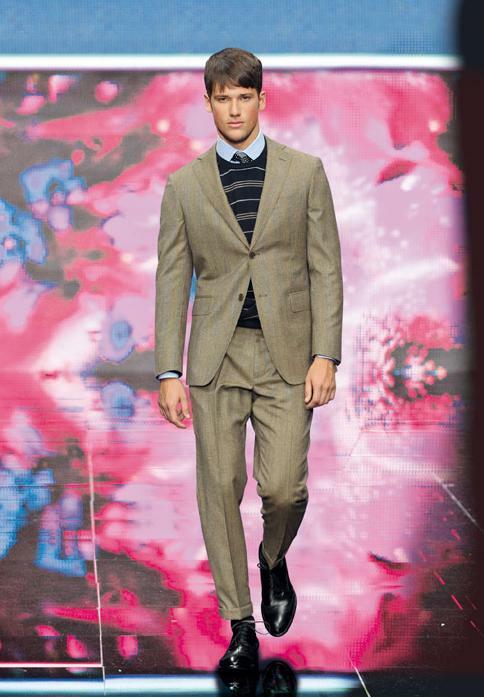 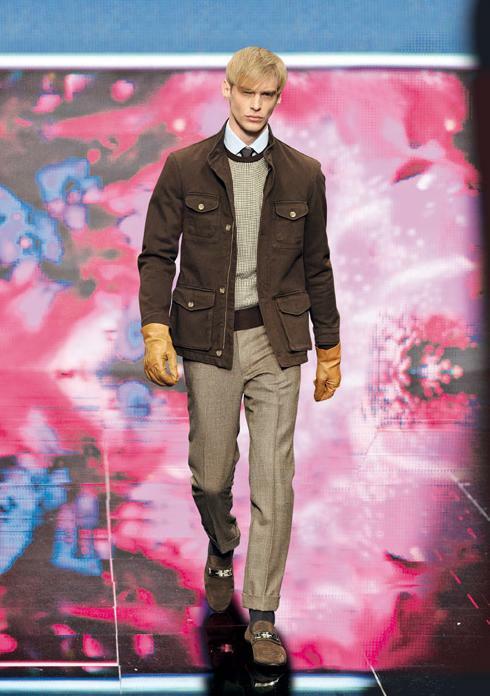 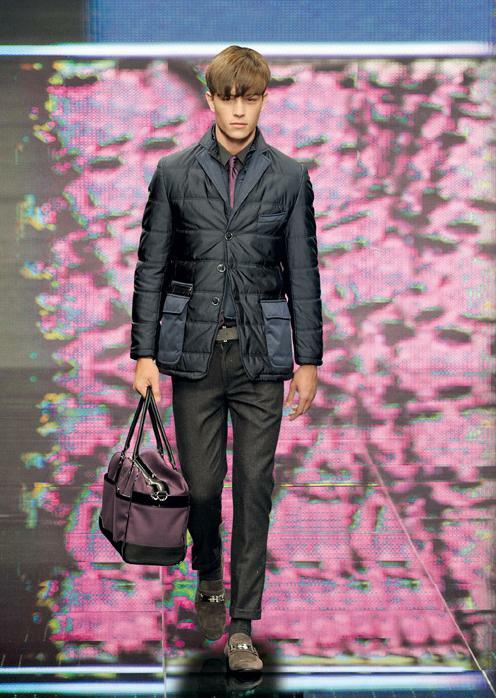 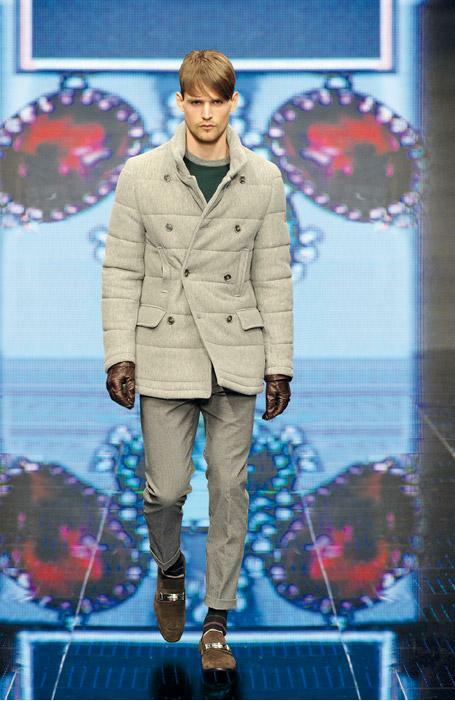 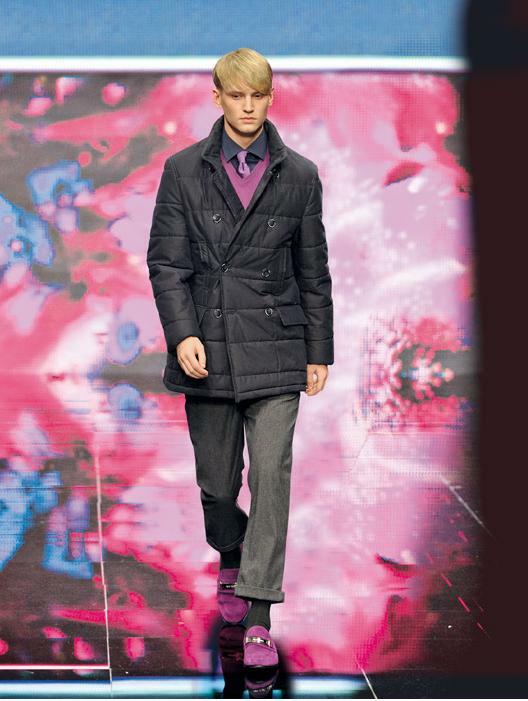 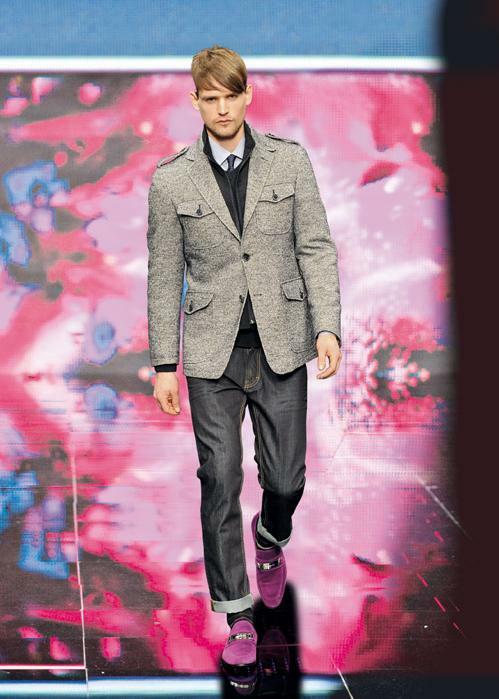 There are also quilted coats and shiny suits with shawl collar.